VueTel places the search for talent and the enhancement of professional skills at the core of its corporate culture. This goal is achieved through the Company’s ongoing commitment to its employees and the environment in which they work. Values such as responsibility, loyalty, integrity and the propensity for collaboration and flexibility form the basis of internal and external relations with customers, suppliers and institutions. VueTel firmly believes in ongoing training and that is why, in recent years, it has forged direct ties with the major Italian and international universities to recruit the most promising candidates motivated to make close contact with the telecommunications business. The company is opening its door to universities across the spectrum and organisations in the research and development industry which together have formed Tlc Lab, a training and professional integration project that aims to attract the potential of the best talents. To achieve this goal, VueTel is reaching out to young people who are entering the employment market to offer them a hands-on experience with a real team of highly qualified, experienced professionals. Tlc Lab lends itself to the creation of events, recruiting activities and shadow training during professional integration in the telecommunications, IT security and Big Data sector. The company wants to continue along this path, selecting the best young people and helping to transform them into the professionals of the future. VueTel pursues this purpose by implementing a dedicated web platform and a series of events organised in cooperation with universities and organisations such as the faculty of Engineering of the University of Perugia. Campus TLC was a project created in 2015 by VueTel to invest in young people and help them in their careers. The company has always invested in qualified young people with a view to growing together with the company. 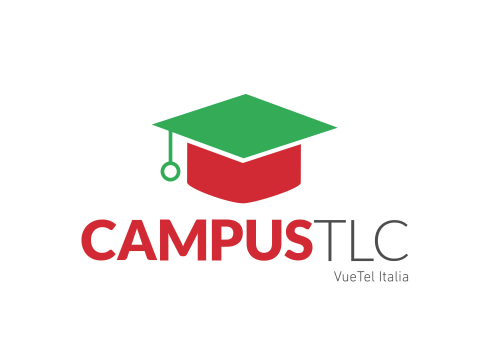 Campus TLC was established as a partnership with the Sapienza University of Rome to put VueTel in contact with students and new graduates. This project and the subsequent recruitment that it generated has given rise to the creation of a work placement with the company, giving the candidate the chance to get hands-on experience in the world of telecommunications. Although the Campus TLC project has come to an end, VueTel’s mission to enhance its pool of talent does not stop there. VUETEL AND SPORT. US ROMA RUGBY 1947. The strong business orientation of VueTel does not however distract it from its land of origin, Italy. A country full of opportunities and and with a strong passion for sport. And it is precisely with regard to sport that VueTel has decided to try its hand, becoming ambassador and main sponsor of the US Roma Rugby 1947 sports club. The business world and the sport are very similar. They share values ​​such as determination, courage, knowledge, and respect for their opponent. Just as in the Company, where VueTel cultivates the skills of young graduates to transform them into experienced professionals, rugby also builds on the ambition of young athletes to bring them to understand that there are no boundaries to their dreams.